Why Aren’t You Giving Your Employees What They Want? At Sequoyah Group, we’ve built our business on maintaining open communication with our employer clients and offering personal one-on-one guidance to their employees, particularly when it’s time for them to enroll in benefits and make those all-important decisions that so greatly affect their families’ physical and financial well-being. 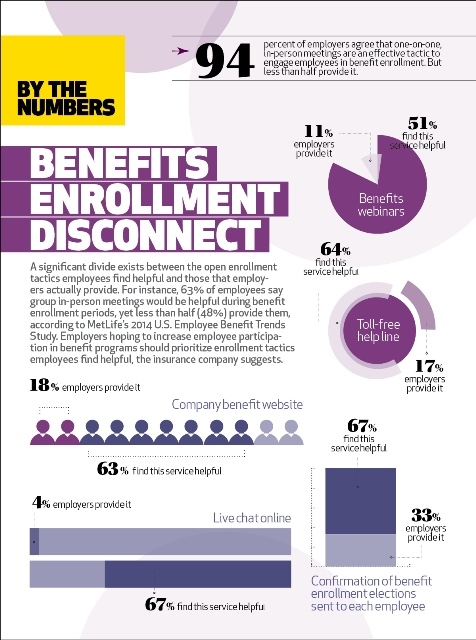 Below, from an article that recently appeared in Employee Benefit News, is a great illustration of why we do what we do. It’s clear that employees desire that kind of personalized attention and assistance. Yet so few employers offer it. These and other forms of direct communication only add to your employees’ perceived value of your overall benefits package. Here’s the proof.